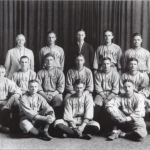 Since the formation of Middlebury College’s baseball program in 1884, only two players have competed in the MLB, Ray Fisher and Harry Hulihan. Ray “The Vermont School Teacher” Fisher was born in Middlebury, Vermont on October 4, 1887. At an early age, Fisher exemplified a knack for sports. At just under six feet, Fisher developed into a standout player for Middlebury High school playing both baseball and football. Fisher received scholarship offers from multiple collegiate programs, but elected to attend Middlebury College. While at Middlebury, Fisher continued to exemplify athletic excellence. 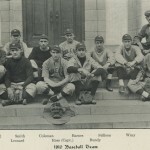 Fisher first played professionally with Hartford of the Connecticut League in 1908. 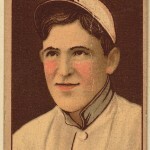 In his two years with Hartford he pitched to records of 12-1 and 24-5 in 1908 and 1909 respectively. 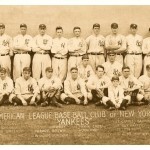 Following his graduation, the New York Highlanders, the forerunner to the Yankees, purchased Fisher’s contract. He went on to play ten seasons for both the New York Yankees and Cincinnati Reds. Following his professional playing career, Fisher coach at the University of Michigan for 38 seasons. Fisher’s choice to stay at home and attend Middlebury College allowed him to participate in track and field, even setting a school record for shot put. In addition, football and basketball also were exposed to Fisher’s talents. Over the next four years, Fisher’s pitching arm developed immensely, causing him to become a star player. In his senior year he was both the starting pitcher and the baseball team’s head coach. 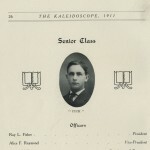 During his senior year Fisher was selected as class president. In 1910 Fisher was hired by then school President, John Martin Thomas, as Middlebury College’s athletic director. 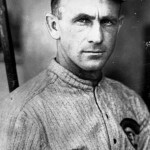 Fisher later vacated his position as athletic director to play in the MLB. Fisher’s two years of 10+ wins and 243 strikeouts in Hartford generated immense MLB interest. 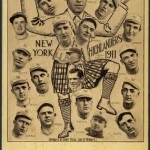 The New York Highlanders purchased Fisher’s contract rights from Hartford. In his Rookie season with New York, Fisher went 4-3 winning a game against the baseball great Ed Walsh. 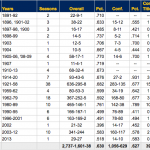 Over the next eight seasons, Fisher compiled 76 wins and 78 losses. 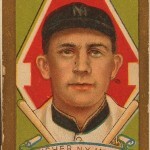 Fisher led New York pitchers in shutouts four times and led the team in both ERA and games started twice. 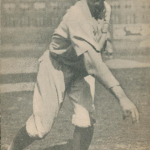 In the 1913 season Fisher was New York’s workhorse, leading the club with 43 games pitched, 31 games started, 246 innings pitched, and 92 strikeouts. 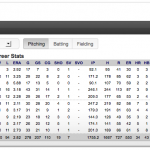 His best season was 1915, when he had a record of 18-11 with an ERA of 2.11. Fisher places 7th overall in Yankees history with a 2.91 career ERA and 17th in innings pitched with 1380. 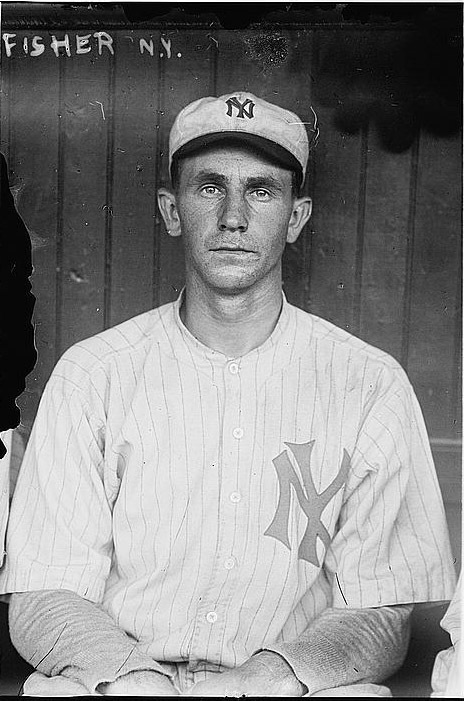 Following the 1917 season, Fisher served in World War I. Upon Fisher’s return, the Yankees waived him. Fisher’s contract was sold to the Cincinnati Reds. Fisher pitched two seasons with the Reds. 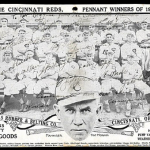 In the 1919 season, Fisher pitched a 14-5 season for the pennant-winning Reds. 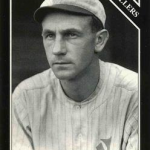 Fisher pitched in the 1919 “Black Sox” World Series against the Chicago White Sox. 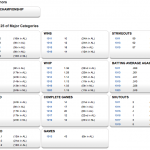 The Series is best known for being fixed by eight players on the White Sox. 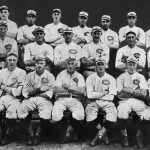 Following the 1919 season, the Reds asked Fisher to take a $1,000 pay-cut. Fisher and the Reds management failed to come to terms over his contract. 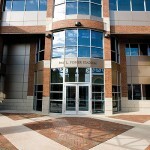 Simultaneously, Fisher expressed interest in the newly vacated University of Michigan’s head coach position. 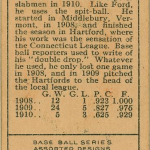 In 1921, he retired from professional baseball. Fisher was technically still under contract with the Reds and his decision to not play rendered him ineligible in the MLB. Fisher remained banned from baseball until then commissioner, Bowie Kuhn, reversed the ruling 1982. 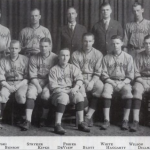 In 1921, Fisher failed to honor his contract with Cincinnati, and joined Michigan’s staff on its southern tour. During Fisher’s first season, he led Michigan to a tie for first place in the regular season and later fell 7-6 in the conference final. 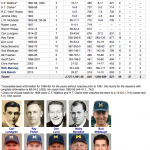 Over the next 38 seasons, Fisher coached his teams to 15 Big Ten conference titles, one NCAA berth, and one NCAA Championship in the 1953 College World Series. 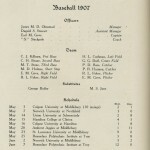 Fisher also established a series of baseball games between Japanese teams and the University of Michigan. Upon his retirement in 1958, Fisher had accrued a record of 636-295-8 and sent 19 players on to the major leagues. After his retirement, Fisher acted as an advisor to his replacement Don Lund. 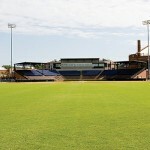 In 1970, Michigan renamed its baseball stadium to Ray Fisher Stadium. Fisher was selected for induction into the Helms Foundation College Baseball Hall of Fame and a charter member of the ABCA(American Baseball Coaches Association) Hall of Fame in 1966.